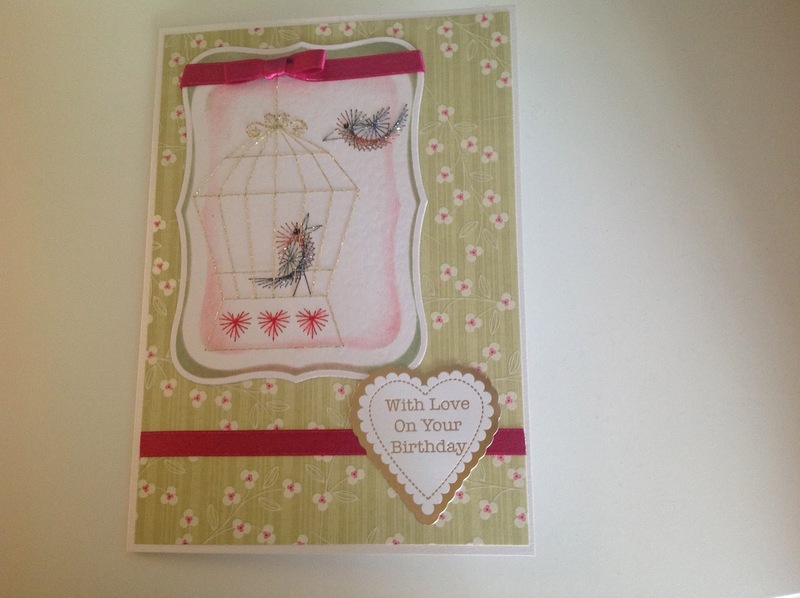 Hello, I thought as today was sunny and feels like spring, I would show a couple of cards I have made with birds on. The top card:- I stitch a pattern around a bird topper (I think it was Hunkydory), picking out the colours of the bird. 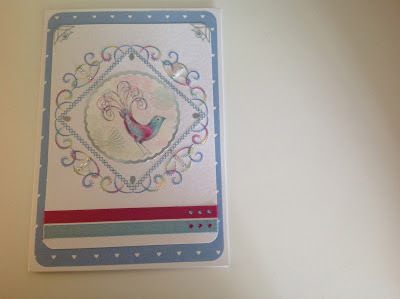 I thought the swirls in the stitched pattern went with the tail on the bird. colours are lovely and suit each design perfectly.